In 2012, Riviera Nayarit was introduced in Minnesota as the Best Luxury Beach Destination according to Apple Vacations and Travelocity, who presented the news of our destination during the 19th edition of MLT University, which took place in Minnesota on September 22 to 24. MLT Vacations is one of the largest travel wholesalers in the United States, and it assembled nearly 1,600 travel agents for this event in order to share the news of its vacation products, including those of Riviera Nayarit. 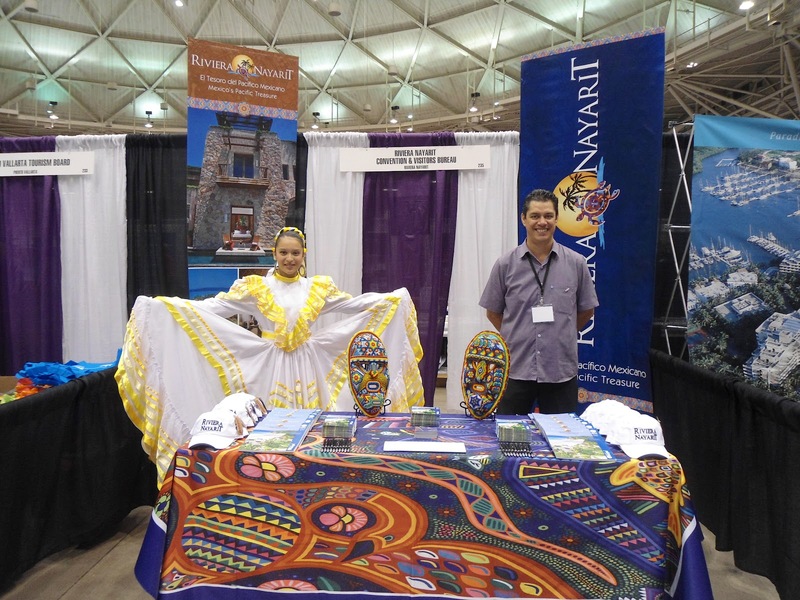 The Convention and Visitors Bureau (CVB) of Riviera Nayarit was among the exhibitors that provided an educational experience through an assigned area at the Trade Show. This event has been designed by the wholesaler to increase the sales of its commercial partners. The CVB is dedicated to the promotion of tourism and works with the belief that Riviera Nayarit belongs to all the people of Nayarit, and that we’re all Riviera Nayarit. Our sole objective is to promote the development of Nayarit by attracting visitors, which will allow us to reactivate the economy of the region, according to the goals defined by the State Government headed by Roberto Sandoval. Our participation at the MLT University is yet another strategy to achieve these goals. MLT Vacations has over 40 years of experience in the travel industry and offers multiple packages in partnership with brands such as Delta Vacations, United Airlines Vacations, Worry Free Vacations, Alitalia Vacations, Air France Holidays and Aeroméxico Vacations, among others. With over 600 employees, MLT Vacations focuses on providing the perfect vacation at the right price. “MLT University allows us to get in touch with agents who are the first contact with tourists, and offer them promotional material about our destination. Additionally, this event allows us to reach them in a much more educational level, where we can teach them about the attractions we offer, things that are happening and new selling points they can use to convince their customers to visit Riviera Nayarit. It is undoubtedly one of the most productive promotional activities to which we can attend”, said Marc Murphy, Managing Director of the CVB of Riviera Nayarit. Riviera Nayarit is the youngest tourist destination in Mexico, covering a coastline of 190 miles, extending from the state border of Jalisco to Sinaloa at Boca de Teacapán. The diversity, magic and culture of its coastal towns, including Mexcaltitán, Santiago Ixcuintla, San Blas, La Peñita de Jaltemba, Rincon de Guayabitos, Lo de Marcos, San Pancho, Sayulita, La Cruz de Huanacaxtle and Bucerias, among many others, enrich the travel experience of its visitors.